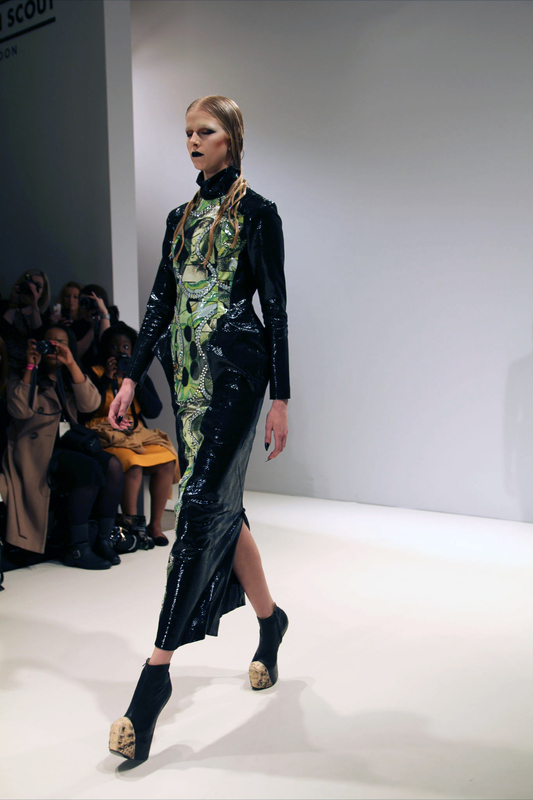 Scaly creatures from a gothic, reptilian world stalked the catwalk at Dans La Vie. 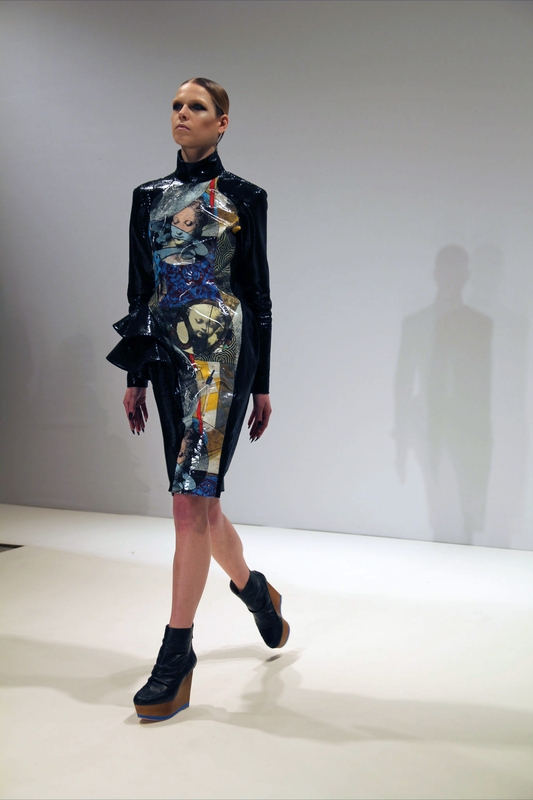 Entitled ‘Invisible Enemy, threat found,’ the collection was inspired by the ‘hard experience of cyber attack’ and featured a lot of dark green and black snakeskin, interspersed with Victorian portraits of cherubic babies and innocent looking women, slithered over by glittering diamante snakes. 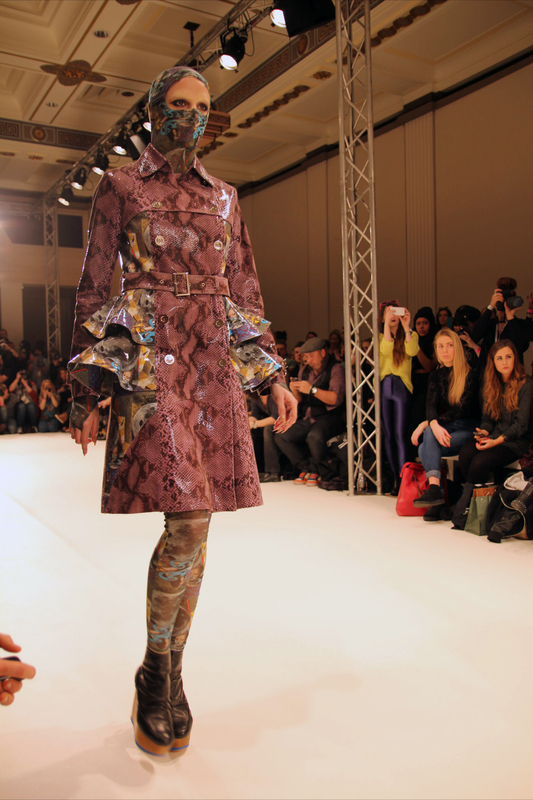 Trench coats and mini dresses formed the bulk of the collection, with the addition of a few longer shifts with high necks and long sleeves, augmented with flared snakeskin gills at the hip – which were, for me, the highlights of the collection. 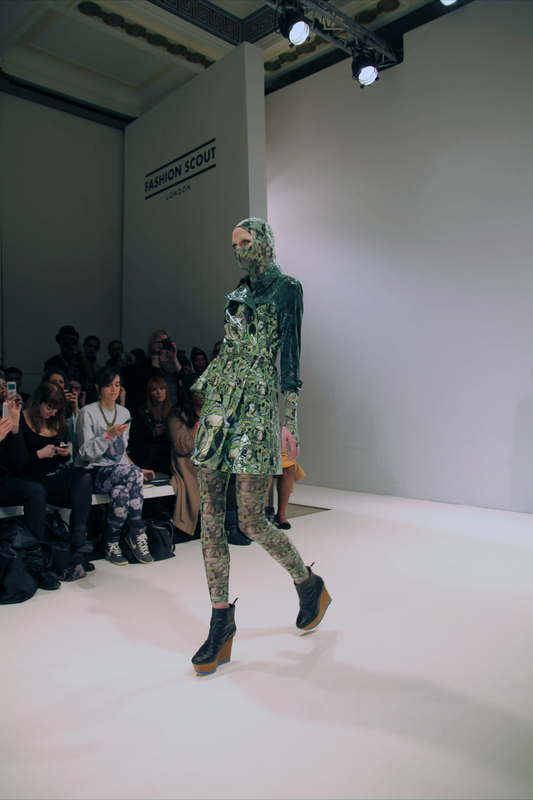 The models wore printed body-socks that covered their heads, all but for their eyes, enhancing the serpentile feel. A collection designed to be worn by only the very brave.